A new city, a new country, a new culture; very few teachers get the opportunity to go across the world and experience something new. The average person may not seize an opportunity such as this. Despite the odds, one of our own, a teacher filled with Manvel spirit and honor, has the opportunity to travel across the globe and experience a whole new world. 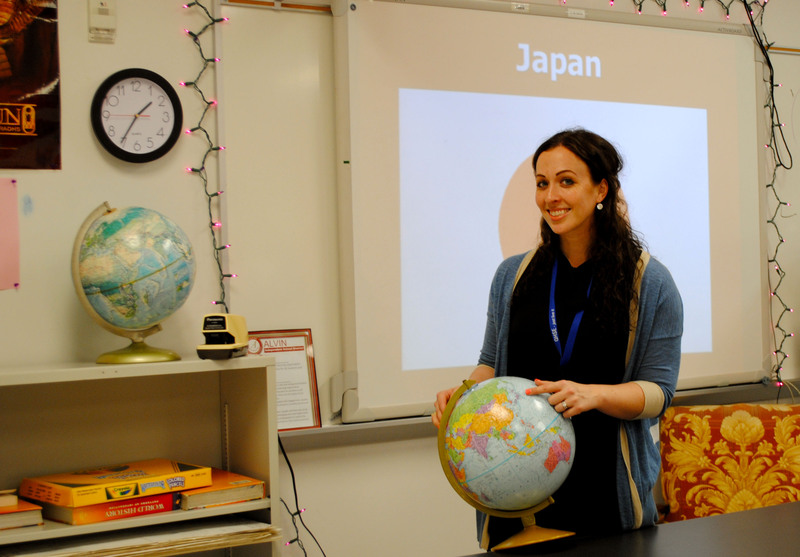 World History teacher Jacqueline Labelle has been selected to The Japan-America Society of Pennsylvania Keizai Koho Fellowship tour. Labelle is one of the ten people selected for the fellowship. The Keizai Koho fellowship has been taking teachers and educators abroad since 1980. While in Japan, teachers will learn about Japanese culture and society, and, later, apply this experience in their classrooms. Labelle and nine other educators will head off to Japan on Jun. 30 for two weeks. Labelle found this fellowship through internet searches and websites. She was also inspired by fellow Maverick teacher Lisa Staup to get a fellowship. Before being accepted, Labelle had to fill out and complete an application. The extensive application had many requirements. The fellowship also takes into account the educators interests. Using the interests of the teachers, the organization bases what aspect of Japan each educator would learn more about. Thanks to modern technology and social media, LaBelle has already gotten in contact with other educators that are also participating in the fellowship. In her classroom, LaBelle has already taken a large focus on technology, using hash tags on Twitter to organize articles and research elements for her students. Through different hash tags on LaBelle’s Twitter, @LaBelleGlobal, students are able to pull sources LaBelle gathers to their phones.